Take a break from the everyday this summer and indulge in a relaxing getaway with us! While many know Niagara Falls for its waterfalls, bustling nightlife, attractions and restaurants, one of its best-kept secrets is our Christienne Fallsview Spa. 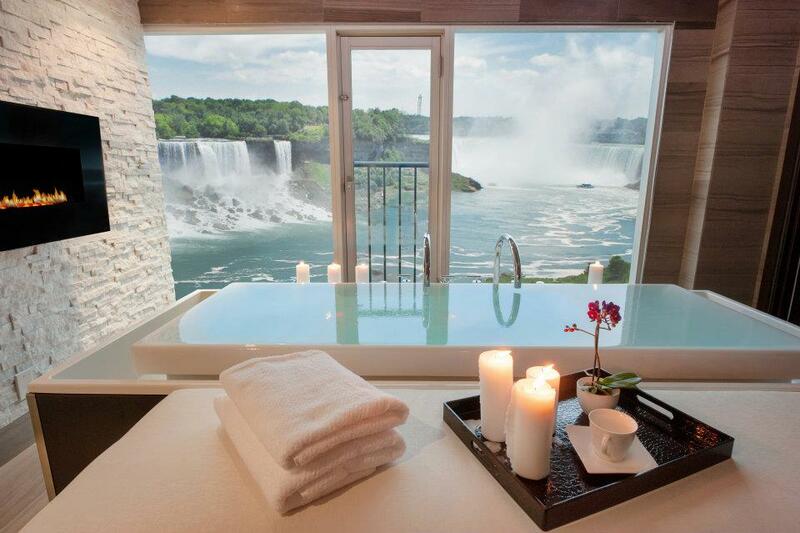 The Christienne Fallsview Spa has everything you need to relax during a weekend away in Niagara Falls. Situated inside of the Sheraton on the Falls, the spa contains several unique features including the only Fallsview Hydrotherapy Infinity Tub in Canada, treatment areas overlooking the falls and an exclusive line of GUINOT skincare products. The Christienne Fallsview Spa has also just announced two new services – Reiki and Reflexology massages. Reiki is a form of healing using specific hand positions and light touches along the body to balance energy, which treats body, emotions, mind, and spirit. Reflexology is used to re-balance Qi (the life force flowing through your energy channels) to treat a number of conditions to have a beneficial effect on the organs and general health. To make the planning process easier we’ve developed the Ultimate Spa Experience Package that includes hotel accommodations, spa time, and several other goodies, including winery tasting passes to two nearby vineyards. Book yours today and discover a tranquil and rejuvenating oasis at Christienne Fallsview Spa!